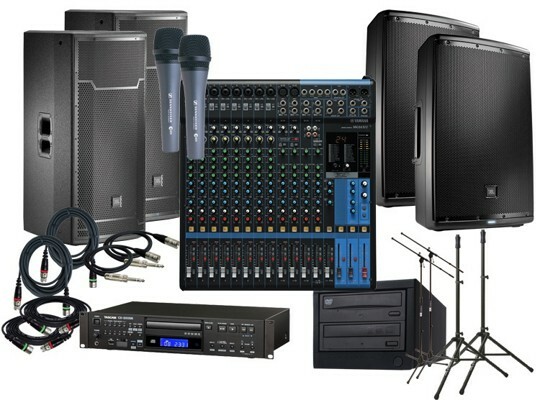 At Sky AV we have available high-quality sound and audio equipment on rent to help you organize successful Meetings, Corporate Events / Functions, Seminars, Talks / Speeches, Trade Shows, Exhibitions, etc. Our popular range of Speakers are powered at 400 Watts along with professional Yamaha audio mixers and Sennheiser and Shure Cordless and Collar mics / microphones. We have experience of setting up Audio / Sound / Speakers at thousands of events, big and small, all over Mumbai. We also provide professional staff and man-power to manage the Sound / Audio system, so you can focus on the higher priority items of your event. Sky AV © 2017 Sky AV is an 8-year old Audio-Video Equipment Rental Company based in Mumbai. We provide Sound Systems, Audio Systems, Speakers on Rent in Mumbai, Sound Systems, Audio Systems, Speakers on Hire in Mumbai, Sound System, Audio System, Speakers Rentals in Mumbai, and also deliver all over Mumbai.